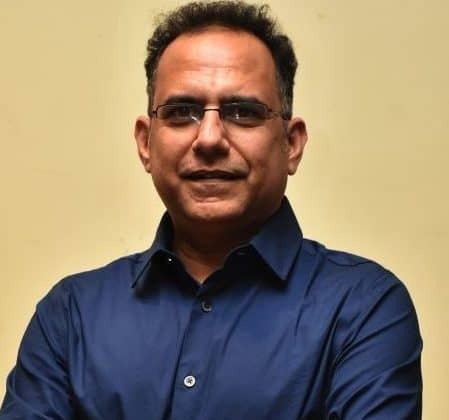 The India Electronics and Semiconductor Association (IESA), the premier industry body representing the Indian Electronic System Design & Manufacturing (ESDM) industry, announced its new Executive Council (EC) for the year 2019-20 with Jitendra Chaddah (JC), Senior Director – Operations and Strategic Relations, Intel, taking over as the Chairman. JC has over two decades of industry experience with excellent international exposure and experience of working in both emerging and mature markets – USA, Latin America, Asia Pacific. At Intel, he has played multiple leadership roles ranging from Program Management of large and complex programs to running operations and setting the strategic direction for large R&D sites at different Intel locations. JC also plays a critical role in leading multiple industry initiatives to accelerate technology adoption and innovation in the country. Recently, he led the conceptualization of Semiconductor Fabless Accelerator Lab (SFAL) and IESA’s Vision Summit. Currently, Jitendra is the Senior Director, Operations and Strategy at Intel India, leading operations of Intel’s largest R&D center outside the US, forming strategic alliances with the tech eco-system and creating impactful initiatives for technology acceleration in partnership with Government, Academia, Media and Industry. “It gives me immense pleasure welcoming JC as the new chairman. We look forward to further strengthen our footprint globally with his visionary expertise & contemporary outlook in managing large enterprise products, leading vision groups with governments, fostering entrepreneurship, Start-Up culture, innovation and resilient academia relationships. This will help IESA taking India to leadership position globally in the design and manufacturing of intelligent electronics products and solutions,” said Rajesh Ram Mishra, President, IESA. The IESA Executive Council also saw the appointments of Dr. Satya Gupta, co-Founder & CEO SenzOpt Technologies India being as the new Vice Chairman, and Veerappan V, co-Founder & Director, Tessolve Semiconductor as the new Treasurer two new members; along with Anoop Dutta, CEO, EmuPro Consulting Pvt. Ltd. and Sanjay Gupta, Vice President & India Country Manager, NXP Semiconductors as Executive council members. Jitendra Chaddah is the new Chairman of IESA 0 out of 5 based on 0 ratings. 0 user reviews.